There are a few things you can do to spruce up a dated hand-me-down dining room set. Taking away chairs from one side, and adding a bench or taking away the head chairs to add two newer ones can add some extra oomph. You can also add new fabric to the seats in modern patterns or trendy colors to give new life in older pieces. 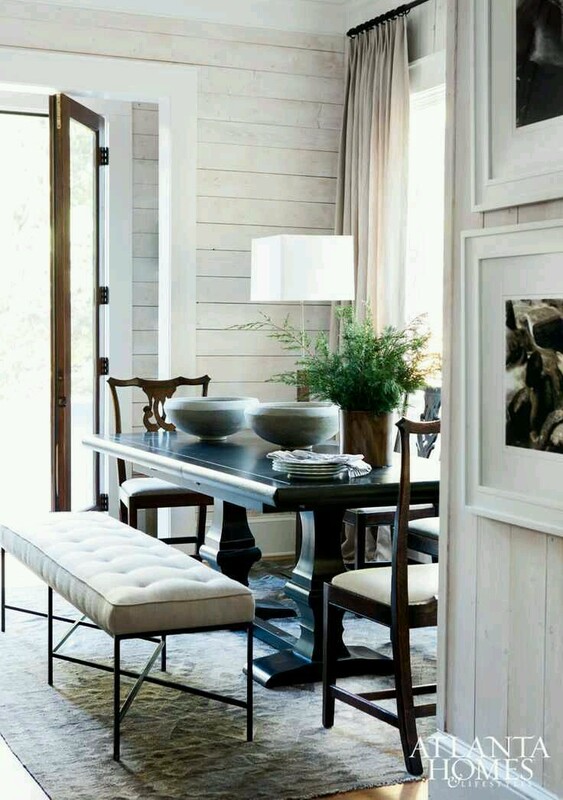 Lastly, accessorize and create focal points that takes away from the furniture. Creating beautiful elaborate centerpieces and place settings with runners are ideal. Browse places like Zgallerie & Pier 1 for ideas. Mix candleholders and candlesticks and vases for an interesting look. Placing the set on a really pretty rug can help as well. I like the bench idea. I’m going yo utilize that because my dining room table gives me hives. I hate it.